We are moving to a new house soon, so we spent most of our Canada Day packing, cleaning out the fridge, and taking furniture apart. My goal to use up some of the items in the cupboard and fridge is going well, and we're still three weeks out from the move. This recipe came together because I was trying to figure out what to marinate chicken drumsticks in, and we just happened to have these items on hand. We paired it with roasted asparagus, jasmine rice and Indian spiced lentils. Mix soy sauce, sesame oil, sesame seeds, ginger, garlic, lime zest and juice, honey, and black pepper in a bowl. 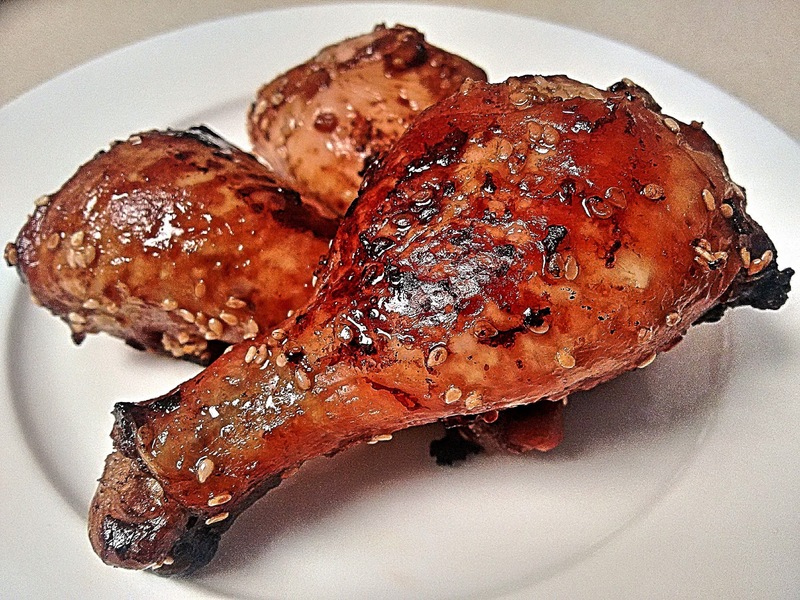 Place chicken drumsticks in a freezer bag or large bowl and pour sauce over to coat chicken. Refrigerate for 3 to 4 hours. Preheat oven to 375 degrees F. Line a baking sheet with aluminum foil and spray with canola oil spray. Place marinated chicken drumsticks on the baking sheet, evenly distributed. Bake for 25 minutes, remove from oven, flip drumsticks over, then place back in oven for an additional 15 to 20 minutes, for a total cooking time of 40 to 45 minutes.